There are some buildings, areas, shops, sights and people you walk a little quicker past in Shepherd's Bush. There are others that you slow down for, to observe a little more leisurely. But there are also a few things in Shepherd's Bush that stop you in your tracks and you have to spend a moment, or two, just to question, to be shocked at, to wonder about or to marvel and simply smile at. This garden in a seemingly ordinary block of flats has always been one of the things I stop and smile at. 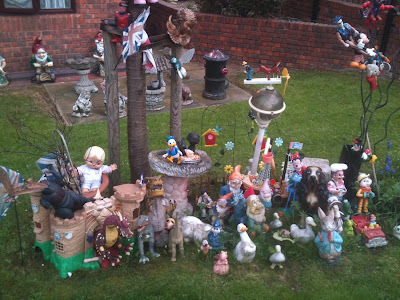 I've walked past it numerous times (on Uxbridge Road close to Askew Road) yet I still have to stop and take it all in. It's just so peculiarly wonderful and charmingly arranged solely for the viewing and entertainment of passers-by. 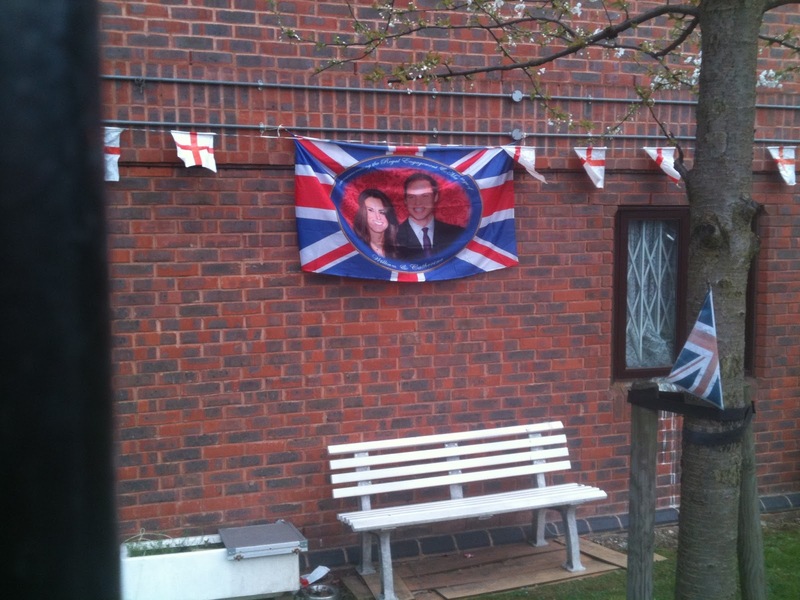 I walked past there the other day and saw the owners have updated their garden with some seasonal Royal Wedding memorabilia too. Brilliant. As soon as I saw the title I knew you'd be talking about this garden! The Royal wedding stuff was a nice touch, saw that as I walked past it on Monday. I wonder if there are other quirky things like this in the Bush?